RARE OPPORTUNITY to live in the CROWN JEWEL of Suter Brook Village. 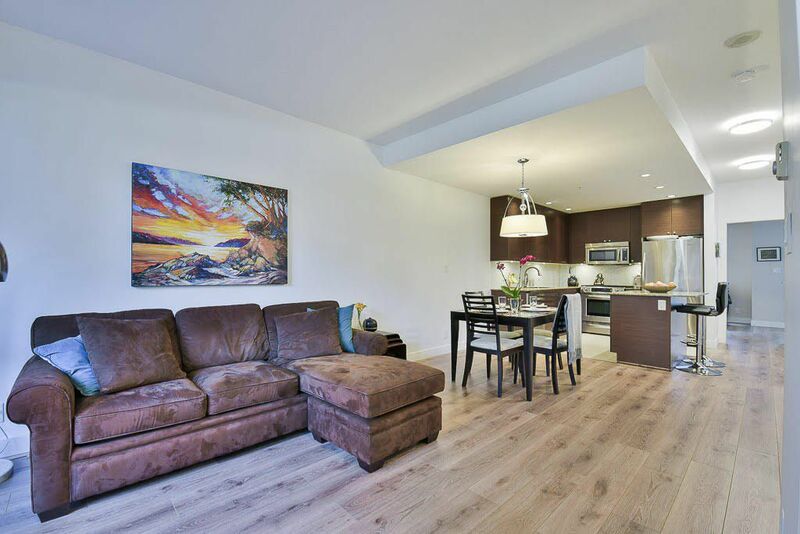 This unit in the EXCLUSIVE City Homes rooftop community, is an open concept home featuring TWO LEVELS, SOARING 13 ‘ VAULTED CEILINGS , 2 large bedrooms + den, 1320 sq ft, 2.5 baths, new flooring,Gourmet kitchen,SS appliances, 3 parking and locker. Relax/entertain on spacious front & back PATIOS, 2 balconies and secure green space in this quiet and unique T/home. Welcome to the Yaletown of Port Moody, Amenities include: Endless shopping, indoor pool and fitness, Thrifty’s grocery, private movie theatre, Rocky Point Park, Brewery row and more. Minutes to Skytrain & West Coast Express. More than a home, you will enjoy community and lifestyle that is second to none.